There are two types of iceberg, she said. The second are called “tabular icebergs”, Ms Brunt said, comparing their formation to a fingernail growing too long and breaking off at the end. “What makes this one a bit unusual is that it looks almost like a square,” she told the LiveScience website. And as with all icebergs only 10% of it is visible; the rest is buried below the surface of the water. That was not the only shape that scientists spotted last Wednesday. 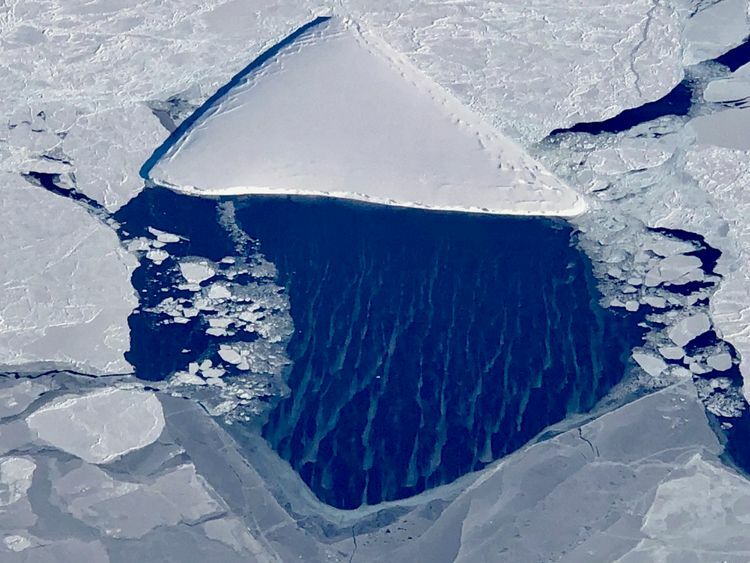 A triangular iceberg was also seen nearby, surrounded by several different types of sea ice. Sea ice comes in many types and forms, depending on the stage of development and the meteorological, atmospheric, and other physical conditions.